Another month has passed and here we are again for another monthly favourites. Some of the products you might have seen it on my snapchat/instagram throughout the months as well. 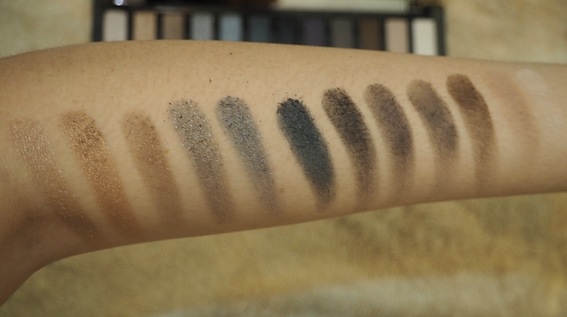 As usual, I always loved UD’s eyeshadow because it’s so creamy and pigmented. I cannot love this enough and cannot believe how not many people know about this product. With the heat and crazy weather, my rosacea has been flaring up and this product is one of the very few that has not only calm my skin down but provided the moisture and protection I need. I was introduced to Biotherm this month, with the life plankton collection and the whole Blanc Therapy CC creams. What i love about this the most is that it contains SPF50 (yay protection!) Anyone who knows me will know how i see the importance of sunscreen. The anti-redness one comes in a green tint and you should know by now that green is the contrast for red. Hence why many anti-redness products have a green tint. Shuumera has always been famous for their cleansing oil and so far i’ve used the anti/oxi skin refining anti-dullness cleansing oil (green color) when Carol bought the travel size and I’ve loved it then. 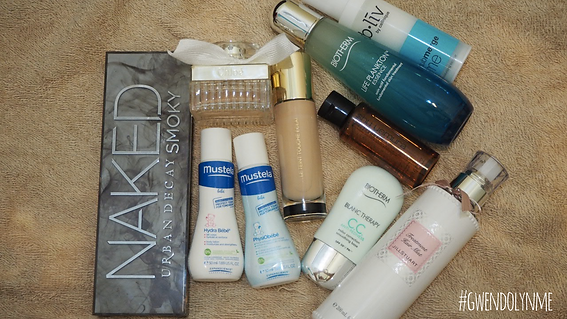 This time, we were given a free travel size for Skin Purifier (brown one) and it’s amazing. I expected it to be the same as the anti-oxi but surprisingly it wasn’t – this was much lighter in terms of texture and it wasn’t as oily as the anti-oxi. I cannot get enough of this moisturiser. I feel that it’s so underrated and not many people know about it. May has been a very hot weather and my Rosacea has flared up, and whenever it does, my skin would become dry and this is the B.Liv submerge me is the only thing that doesn’t agitate my skin, provides me that layer of moisturising protection. Apparently this has antioxidant and anti-aging. But we shall see. Best Body Lotion ever. period. LOL This is like my holy grail body lotion. I look up to this so much that any other body lotion that I review will be now compared to this already. This shows how much I love this. To be honest I was a little skeptical in the beginning about this. But after using it, OMG. I cannot say enough about it. Wiping hands have never felt cleaner. LOL. Hand sanitiser that doesn’t smell like alcohol? This is the one for you too! Asides that, I’ve used it as a makeup instant anti-bacterial clean right before i use it. Weeks ago Carol brought me to a clearance sale in Pavilion and the one thing that caught my attention was the Jill Stuart corner. (OMG! How can you not fall in love with any of the Jill Stuart packagings? They make your dressing table feel so princess-sy). Asides the pretty packaging, this Hair Mist has also been the one item that I found myself grabbing often throughout the month. I’ve recently bleached my hair again in April, therefore my entire hair care routine has switched around and this is not just moisturising, it doesn’t weight my damaged hair down, not greasy and my roots are not oily as well. On top of everything, the scent is just amazing. If you follow me on snapchat you would have realised that i’ve been grabbing this foundation throughout the month. Well, good things are meant to be shared right? Some people say that the price is a little overrated but then the finishing is very different. I would say that the dupe for this and the closest is the Bobbi Brown Skin Foundation but then only difference is that this doesn’t transfer as much as that, it gives a dewy finishing and doesn’t not cake up. The only problem with the Bobbi Brown skin Foundation is that you need setting powder to set it in, the YSL Touche Eclat Foundation does not need that. I was never a fan of the rose scent. It has always reminded me of Lovely Lace and I didn’t like the overwhelming scent of it. But, when I was given the sample of this, I fell in love with it. Funny how things work out isn’t it? And if you know me, you would know that I have quite a number/collection of scents on my table which I would pick and use according to occasions and everything else. The Chloe Parfum is the one that I have been grabbing mostly the past few months especially seeing the boy.